Genuine OEM Brother Ink Cartridge Multipack, High Capacity 550 page yield. Multipack includes: two Black (LC3017BK) ink cartridges. 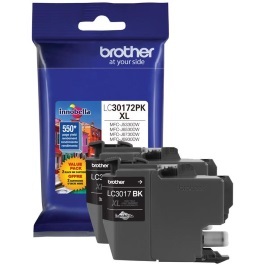 Brother part number: LC30172PK.